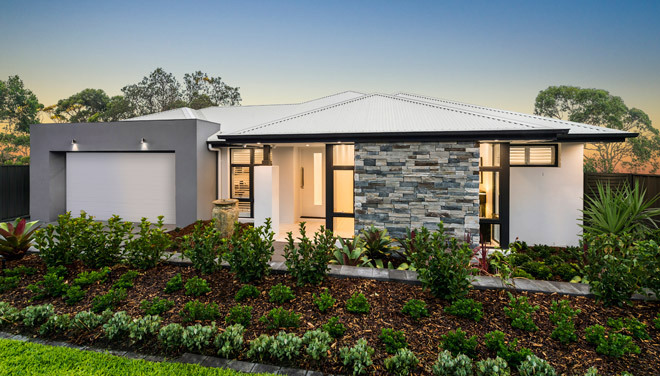 Visit the display homes at Billy’s Lookout to experience first hand the quality finishes and features of the builders exhibiting their home designs. 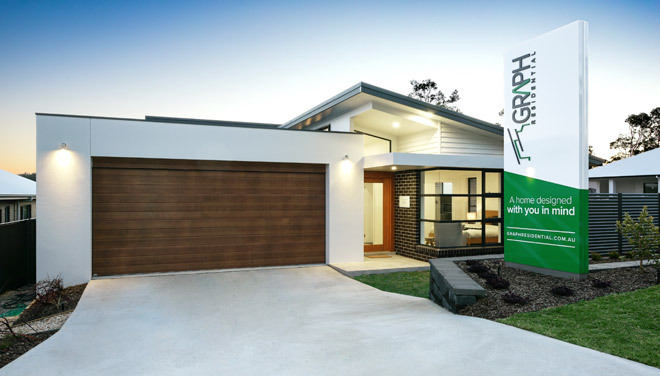 Sit down with a consultant to talk through a whole range of home designs and package inclusions so you can create your dream home. Home builders showcasing their designs include Graph Residential, McDonald Jones Homes, G.J Gardner, Mojo Homes and Montgomery Homes. 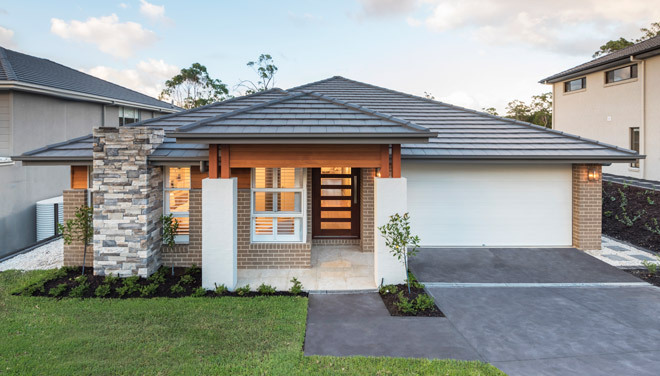 A range of house and land packages at Billy’s Lookout are available from these builders that suit individual lifestyles and budgets. 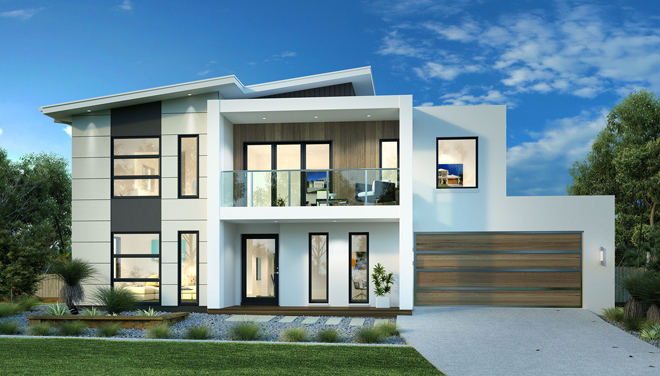 Custom designed for the contemporary buyer the Graph Residential display features spacious open plan living and kitchen areas which flows seamlessly onto the alfresco. Enjoy natural light from the high level louvered windows which reflect radiantly onto the raked ceilings. With a theatre room and walk-in pantry this display is functional meets comfortable. Discover it for yourself at the display. Discover a seamless floor plan that reflects a sharp eye for architectural detail and a clever use of space that continuously inspires homeowners and creates delight and surprise, every day. From the expansive, sun-soaked living hub that forms the heart of the home, to the indulgent, oversized Master Suite complete with walk-in robe and ensuite every space has been creatively considered. The Avalon 242 is the perfect home for busy families and any food aficionado who loves to entertain. It features internal access from the 2 car garage, leading through laundry and butler’s pantry, great for a school bag drop off and hiding prep work at dinner parties. The corner stack sliding doors join the alfresco to the open plan kitchen creating a light filled, spacious area! 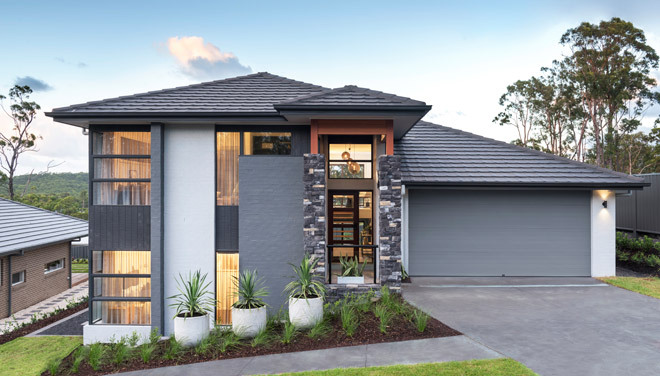 A brand new design released for the first time, this stunning tri-level, split slab home is perfect for a sloping site. It features kitchen and primary living areas on the upper floor with a beautiful deck adjoining the living / dining area. This home is perfect for families that enjoy having their own space and time together, equip with a rumpus, home theatre and study. The Enigma 46 is designed for family living on a grand scale. It features 5 spacious bedrooms, 3 living areas including a huge Children’s Activities room. 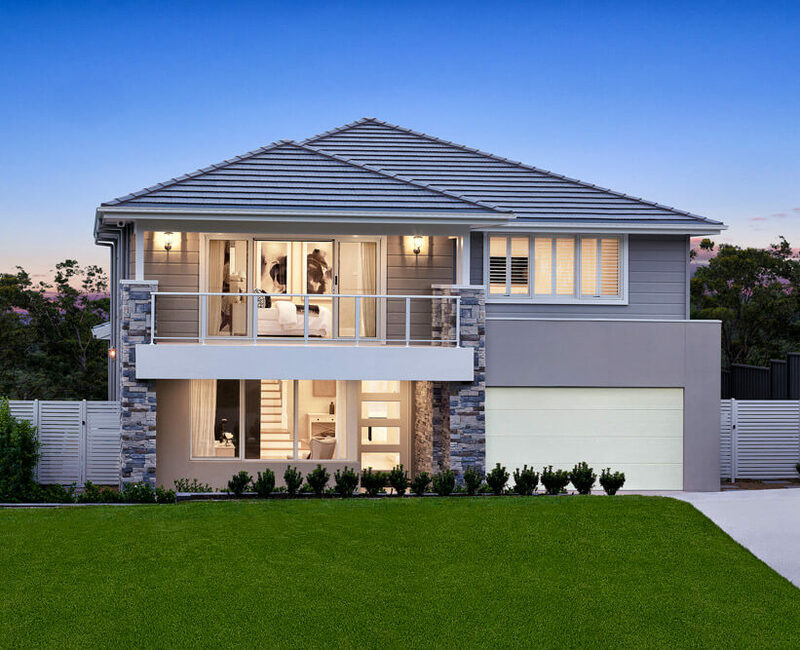 The living, dining and kitchen are designed for open plan living and elegantly flow on to a grand outdoor area, perfect for entertaining year round. This classic Hamptons façade ties into the coastal theme of Billy’s Lookout. Made up of four separate living zones over the two levels, there is space for the family. Downstairs is a large, open plan family room, with kitchen (featuring a butler’s pantry) and meals opening to the alfresco area for outdoor entertaining all year round. Upstairs features a main bathroom, four bedrooms, with the master offering a complete resort feel. Everything about this home oozes space and elegance. The Esplanade is like your dream holiday in a home, it will truly blow you away.